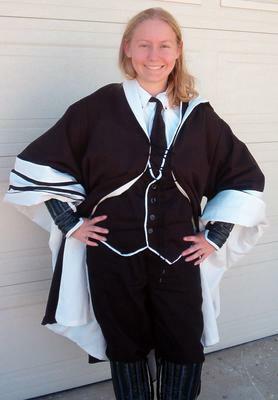 Using Simplicity pattern #7030 follow directions using the same black and white fabric you used for the robes. Sew bias tape along the edges. See also Jennifer's patterns for Madam Hooch's Quidditch Pads and Madam Hooch's Robes to complete this costume.